Mister Fish delivers wholesale fish to restaurants and other food service locations throughout the greater Baltimore area, including Ocean City and Washington DC. We work with local fishermen as well as internationally. Chefs and cooks throughout the area know they can count on us for a quality product. We have farm-raised fish, wild fin-fish, frozen products and more, at any given time. 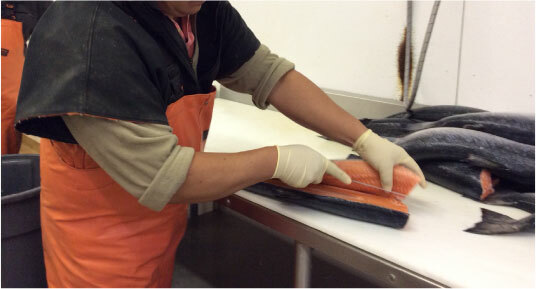 We will clean and pre-cut the fish into steaks or filets for you. We understand that sometimes preparing a whole fish can be daunting and time consuming. We have an enormous variety of fresh fish available at any given time. Arctic Char, Mahi Mahi and Sea Bass, just to name a few. Buying whole fish in bulk is a great way to get the most bang for your buck. Our frozen fish selection is pretty extensive as well, including breaded items. Catfish, Rainbow Trout and Tuna loin sushi are all available. Frozen products are all IQF. If you’re looking for Maryland seafood distributors you can trust to provide you with quality wholesale fish, both fresh and frozen, call us today at 410-288-2722.